Portsmouth, the UK's only island city, is one of the most vibrant and exciting cities in the country. Situated on the south coast of England and only 90 minutes by direct train to central London, it is a great place to live, work and study. It is one of the most important ports in the UK and welcomes people from all over the world. 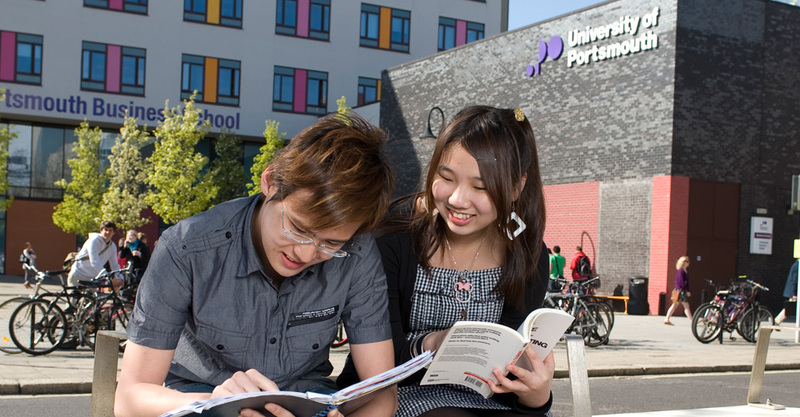 The history of the University of Portsmouth dates back to 1869. Since the first degree was awarded in 1900, the university has maintained its commitment to promoting and maintaining excellence in teaching and research across its five faculties. 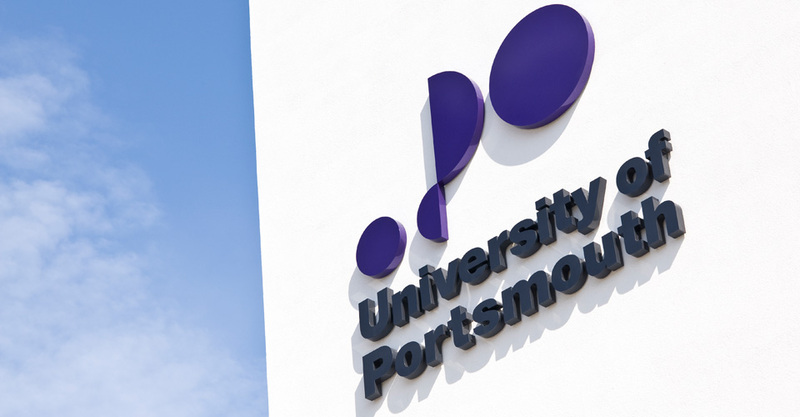 The Univerity of Portsmouth has state-of-the-art computer labs and wireless internet access, so you'll get every opportunity to stay in touch with your family and friends, wherever they are. Significant investment in the campus means that students will benefit from start-of-the-art facilities. In many academic areas, the University has simulated environments providing real life learning experience. Welcome to the University of Portsmouth. I am very pleased that we have established ICP as an Associate College of the University. This partnership allows students to begin their Pathway at ICP and study on-campus at the University of Portsmouth. This extends the reach of the University both globally and academically, and gives an opportunity to take a Portsmouth degree to many aspiring students from overseas who may not otherwise be ready to move directly into undergraduate or postgraduate studies with us. 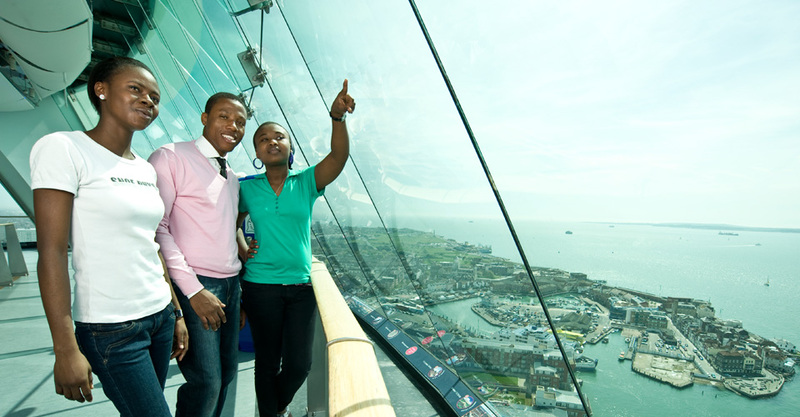 At Portsmouth we foster a thriving cosmopolitan community in which we value the contribution to campus intellectual and social life made by our international students. We believe that we have a healthy and mutually enriching environment for both home and overseas students. I wish you every success in your ICP studies and in your exciting new life in Portsmouth. I look forward, in due course, to hearing of your progress through one of our degrees and eventually I hope to welcome you at our Graduation Ceremony where we can celebrate your academic achievements. The University currently has around 22,000 students, including almost 4,000 overseas students from over 130 countries. A growing reputation for excellence means the University is becoming the preferred destination for many students, tutors and researchers. 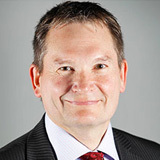 The University's aim is to provide an excellent student experience focused on the knowledge and skills essential for roles in the global workplace. The University's investment in providing an excellent student experience is recognised by students, with 89% being satisfied with the quality of their course at Portsmouth - above the sector average for satisfaction. The University of Portsmouth is a top 40 University in the UK according to the Guardian League Table 2018, and is ranked among the top 200 most international universities in the world in the Times Higher Education World University Rankings 2017. Research at the University of Portsmouth is rated world-leading in the latest survey of research quality in UK universities. The results of the Research Excellence Framework (REF), announced in December 2014, determine how much public money is given to fund research. In the biggest research assessment exercise in the world to review the quality and impact of research across all disciplines, around £2 billion per year will be allocated to universities. Over 60% of research submitted by the University is rated as world-leading and internationally excellent, an increase of 24% from the last assessment exercise in 2008. At Portsmouth, whatever you choose to study, you will participate in a challenging academic course and learn in excellent spaces. You’ll be studying in modern surroundings using cutting-edge facilities. Latest spends include a £4m library refurbishment, a £9m media and performing arts space, and an £11m Future Technology Centre to inspire a new generation of engineers. In many academic areas, the University has simulated environments providing real life learning experience. The University of Portsmouth recognises that graduates enter an increasingly global competitive job market, so employability is part of a student's study. Not only will you graduate with a good degree but you will also be ready for a rewarding career with the necessary skills and attributes.